Sharing another Citrus Twist layout with you. I really love how this feel together. 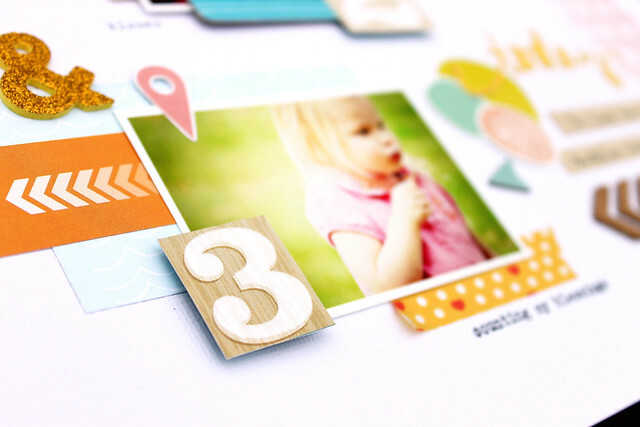 I started this layout by wanting to use all those little circles that came in the Studio Calico Sundrifter die cuts shapes. After I had the circles down I just started layering the embellishments. I cut out the numbers from some paper that came in the kit. Today I wanted to share a picture of our new addition! We are so blessed to have this little blessing joining our family! He weighted 6lbs 7ozs and was 18 1/4in long. He is doing really well and the kids are enjoying him. Good Morning (or afternoon) to you all!! I'm so excited to tell you I'm headed into the hospital first thing tomorrow morning to have my baby!!! So excited! I'm not having a csection I will be induced because I have server kidney pain. 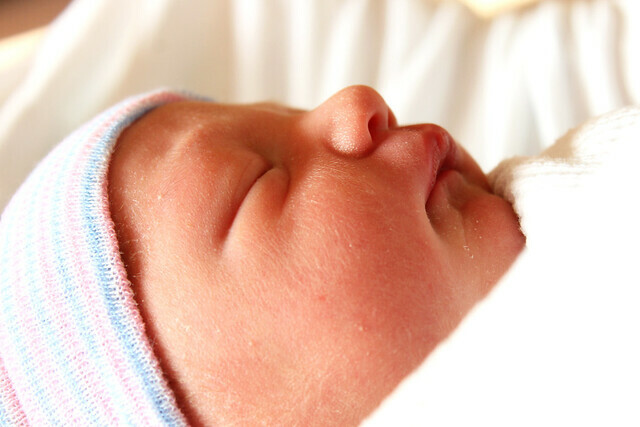 So make sure to check in during the weekend because I plan to have a blog post with my baby boy! So now onto the scrappy part. Today is Citrus Twist's June reveal. They are in the process of getting a brand new site so for now you check out their new blog!! The June kit is now sold out but I do believe there are just a couple of PL Kits left and in the PL kit this month you get an exclusive stamp designed by one of our own DT members. Here is a layout I created using the main kit only. Hannah LOVE her corn and thought this was a great picture to scrap with the golden thickers! Thanks so much for stopping by and when you "see" me again I will be a mom ro 5!! Good Morning! 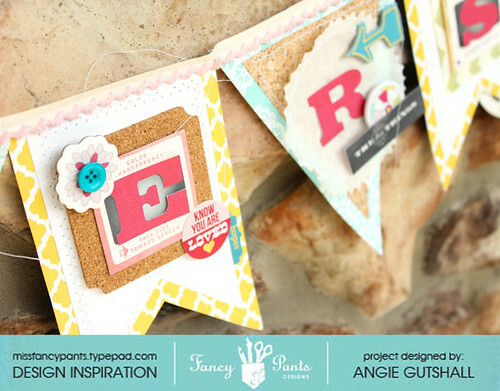 Today I'm up on the Fancy Pants Designs blog sharing a fun tutorial on making a banner. I have also challenged you to create a fun banner. Since I can only share a peak here I hope you go HERE to see my full project. For this project I did use the new line called Wonderful Day. 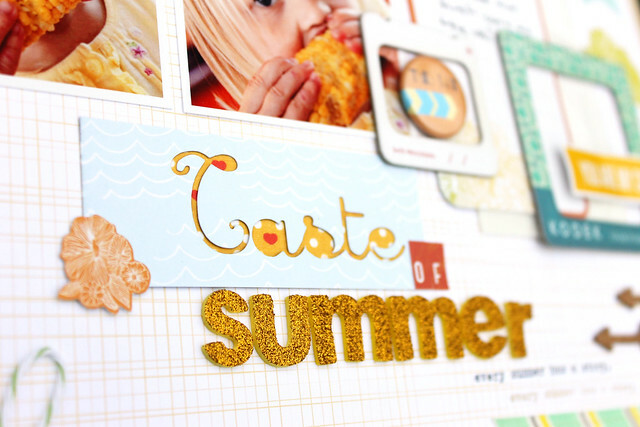 Thank you for stopping by and again please go check out the full project on the FPD blog! I wanted to share a fun idea with you. I took an ordinary white gift bag amd altered it with some American Crafts paper and embellieshments from the Ready, Set, Go line. I love the cute pencil stickers in that line. I also love the "you are my favorite" sticker which was perfect for my daughter's teacher. Thanks so much for stopping by! 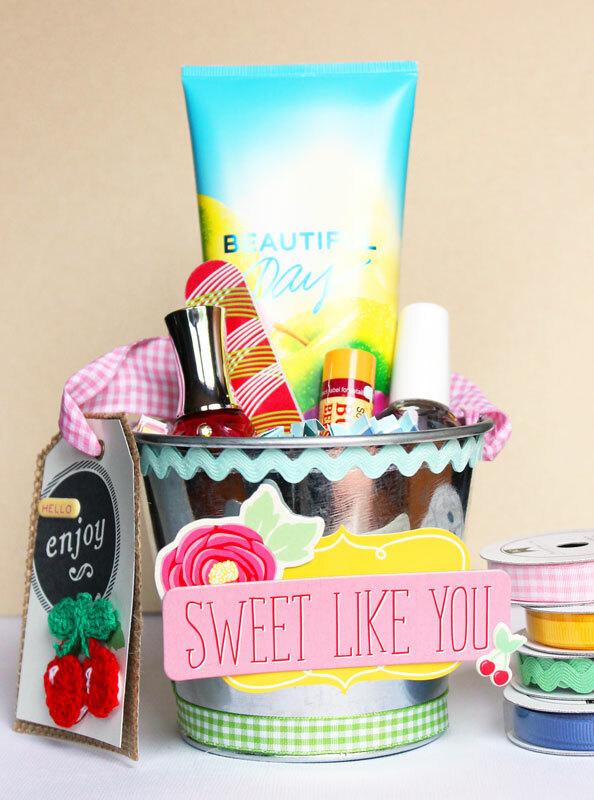 I hope you have been inspired to alter a gift bag. 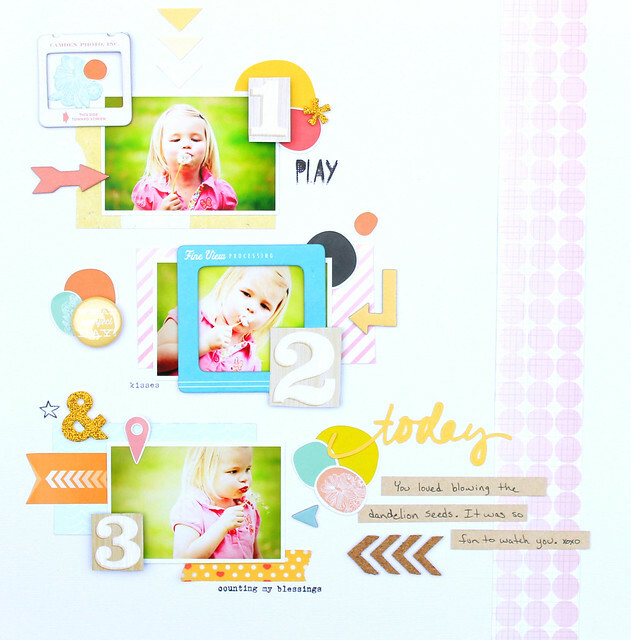 I had some time to scrap yesterday so I dug out my May Citrus Twist kit and created a layout using this week sketch from Elle's Studio. I also used the May Kit from Elle's Studio. Elle's new kit comes out June 10th and it looks amazing. I so glad she started doing these little limited ed. kits with her tags. And here is my take on the sketch. I love using up kits it feels good to use up so I can buy more lol. Here is a close up. 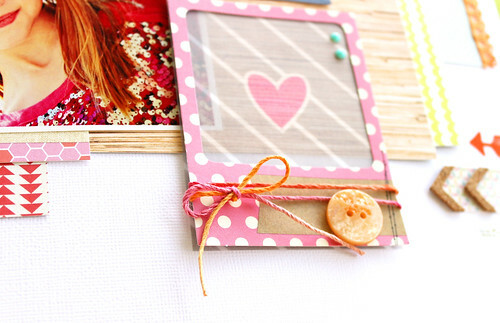 I add the cute frame over the vellum heart tag. Here is my gift I used the Mayberry line to create this gift. Happy Tuesday to all you wonderful crafty friends!! 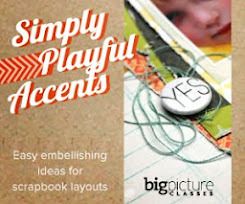 Today I wanted to share an American Crafts layout with you. But first I wanted to let you know AC is having their DT Call! Go HERE to get the details! I just love this team and am so honored to be a part of it. You really should apply. Now on to my layout. 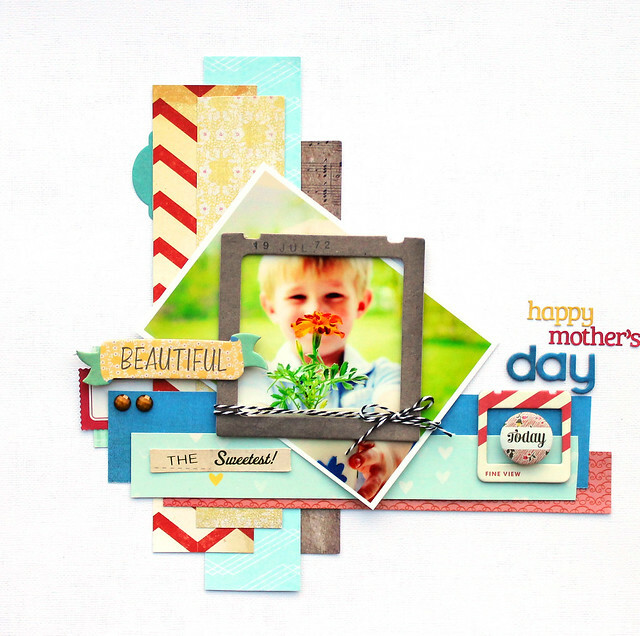 I created this layout using the very fun Mayberry line. I'm enjoying this line so much I don't have much left. 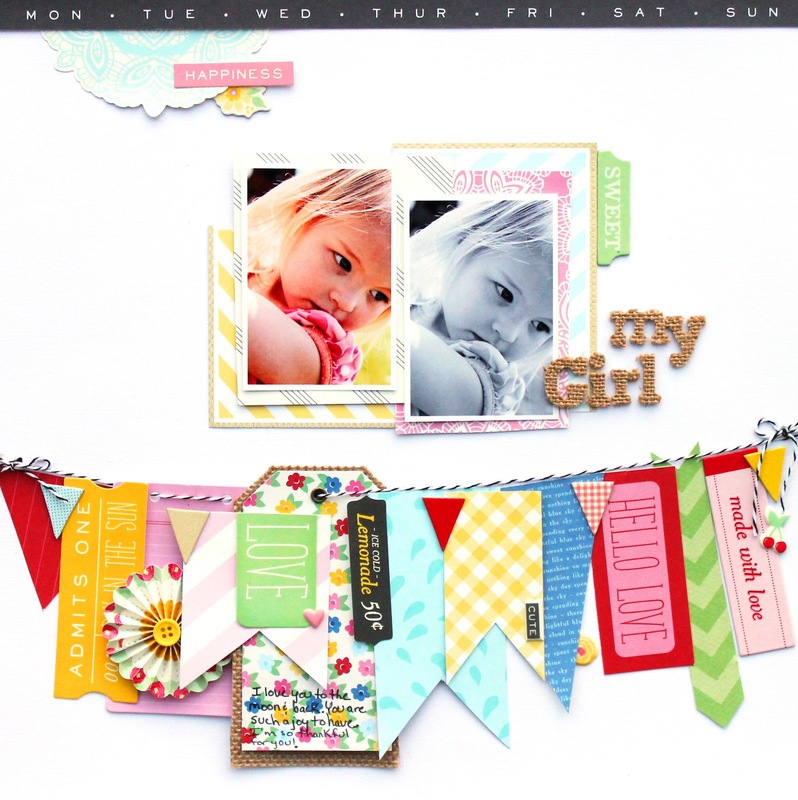 I wanted to make a big banner using all different embellishments and papers. Thanks so much for stopping by! 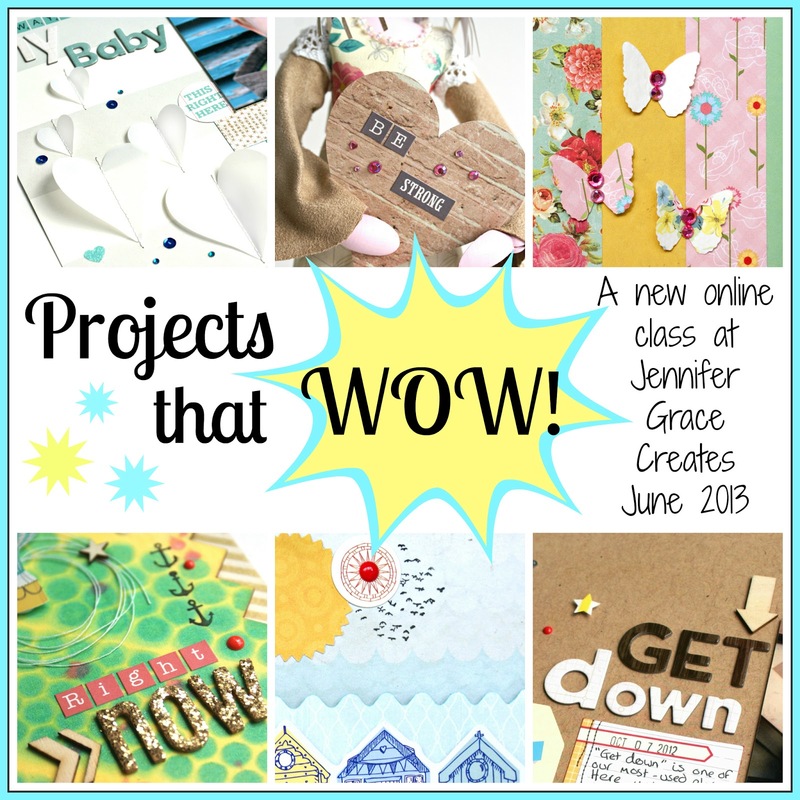 Make sure to go to THIS post to enter in for a spot in the "Projects That Wow!" class. **Winners are announced HERE!! ** And also check out the link to see more sneaks and also the amazing prizes! 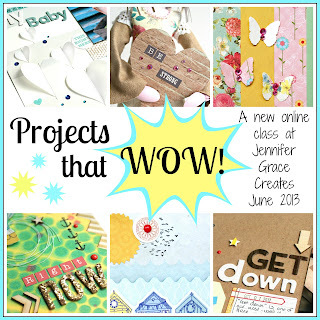 What is "Projects that Wow!"? 'Projects that WOW!’ is about making your projects stand out from the crowd. 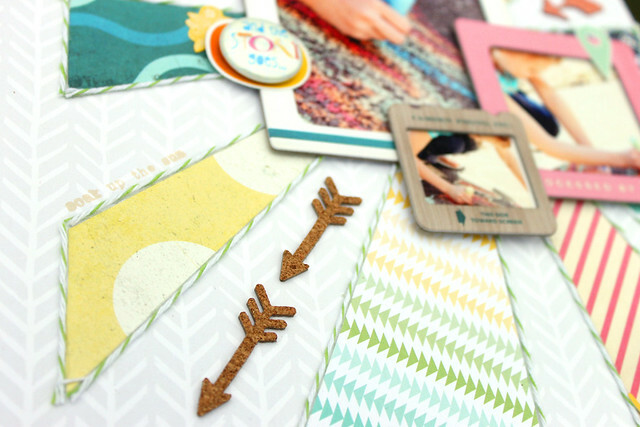 What makes you pause and look closer at a scrapbook page when you are flicking through your own albums, or looking at other people’s layouts in magazines? Which cards jump out at you from Pinterest or from envelopes when you open them? 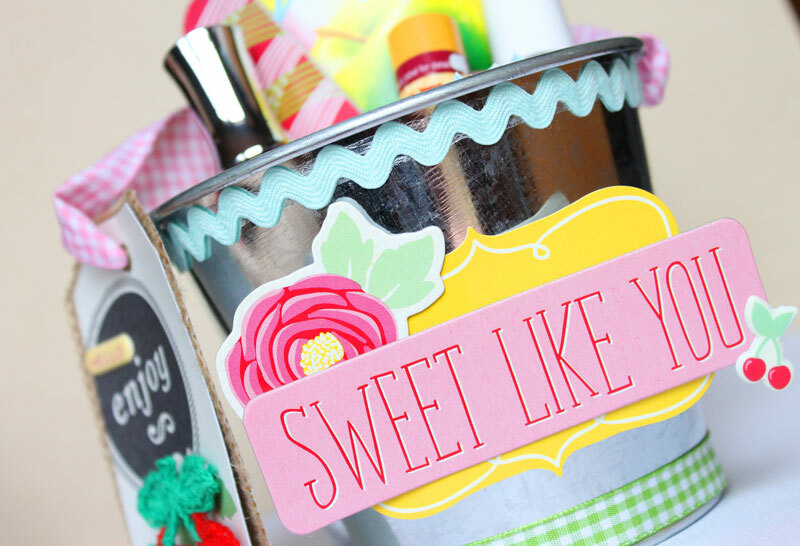 What details of paper-crafted home décor or jewellery make you stop and say ‘wow!’? It’s time to learn some of these techniques or styles and put them to use! To learn more about this class go HERE!! For the price you can't beat it! 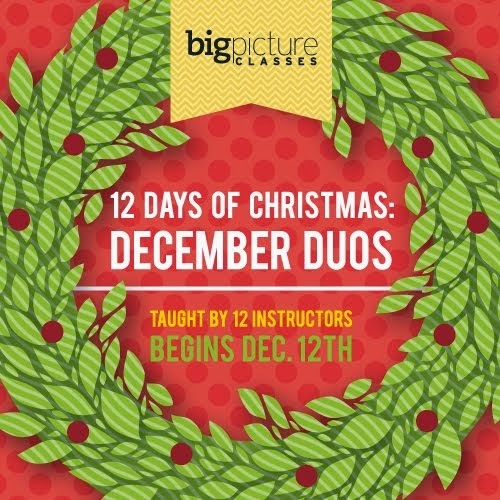 Hope you will join us for class! 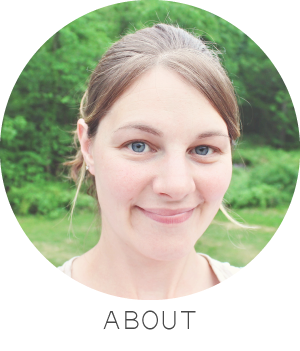 The line up of designers is also listed on Jennifer's blog and they are some really talented ladies! I get to be a contributor to this super fun class! 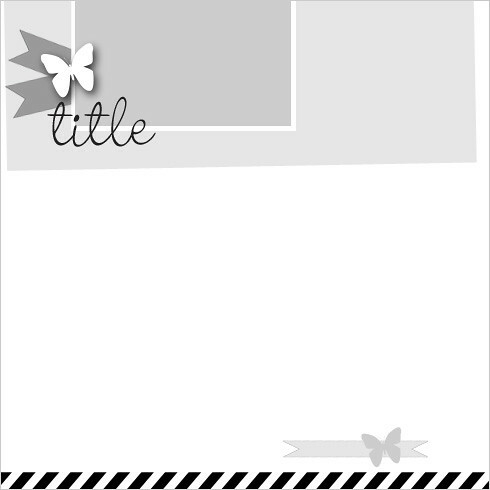 Here is a sneak peek of the layout I created just for this class. 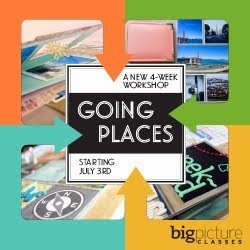 You won't want to miss this class! The next person on the hop is Jennifer Grace! Happy June!! I LOVE June you want to know what? Well, I'm going to tell you even if you said no lol. It's my birthday month, anniversary, son's birthday day, school is out and the big reason my new baby is coming!! See what's not to love! 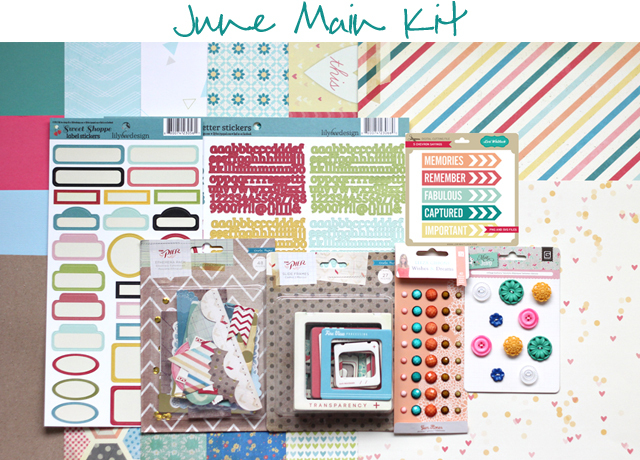 So this month Gossamer Blue June kits rock! And I'm not just saying that I really mean it. There are 4 exclusive papers in this kit! And I don't know about you but I have been waiting for the new Lily Bee and there is lots in this kit including some exclusive papers. And here is a layout I created with the main kit only and digital cuts that you get with the main kit. Here is a close up of the fun banner from CP line Pier and the fun frames. Thanks so much for stopping by!! Make sure to stop by Monday for another chance to win something. I'm spoiling you all with all these giveaway lol. 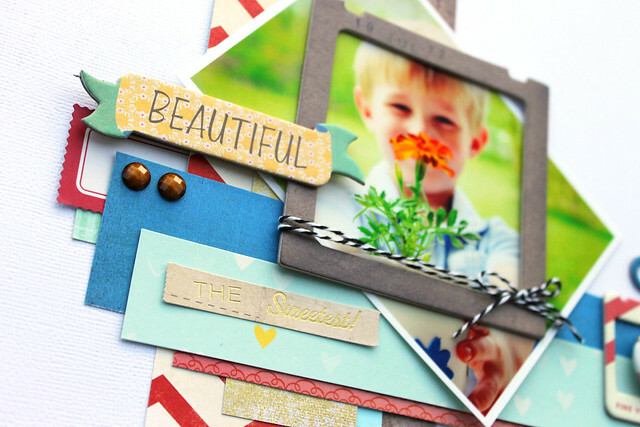 Don't forget to leave a comment HERE for a chance to win a spot in May's class "Camp Scrap". Comments are closed midnight tonight.